Dearly beloved brothers and sisters in Christ, I greet and bless you in the name of our Lord Jesus Christ. The blessed word that the Lord has given you today is from the book of Exodus 3:7, “The Lord said, “I have indeed seen the misery of my people in Egypt. I have heard them crying out because of their slave drivers, and I am concerned about their suffering”. The Lord says that He is concerned of your sufferings. God has said in John 16:33, “In this world you will have trouble. But take heart! I have overcome the world.” God says that if He could overcome the troubles of this world, then definitely you too can overcome all the trouble of this world. Today, God is telling that, you cannot find a man who has no problems. Everyone have problems according to their capacities. Sometimes, when you look at others, you might feel that they do not have any problem. Only when you put yourself in their place, you will realize that you are facing a smaller problem than them. So do not be worried. God will not give you problems beyond your capacity. God will never give something in your life than you can bear. The bible says that for four hundred years, the people of Israel were looking unto Jesus and crying for help. 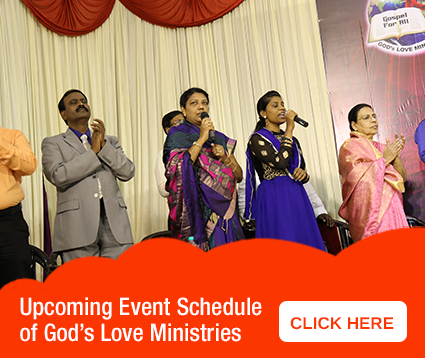 When their sufferings were about to cross their capacity, God started performing miracles. In the days of Jacob, he saw a vision in which, a ladder was beside him. The bottom edge of it was placed at the side of him and the top portion of it, touching the heavens. In that he saw angels ascending and descending the ladder, taking his prayers up and bringing answers from heaven. Likewise, when your prayers reach heaven, God will start to perform miracles instantly. Therefore, pray earnestly and receive the blessings from God. My dear children of God, are you saying that your problems have increased and that you are not able to bear it any longer? Call unto the Lord in such a way that your voice reaches His presence. God will come down to perform a miracle in your life. Today the Lord says that He knows the sorrows that you are going through. Do not worry my dearly beloved. The Lord knows and understands your sorrows. God is sending His angels to you. He is going to give you an answer today.